Available NOW Australia wide in Coles and all good Newsagents. Get your copy today. In November last year we were so excited to launch our One Handed Cooks Magazine. The response we received was overwhelmingly positive with many stockists running out of stock in a matter of days. We thank everyone who purchased the magazine and who took the time to write to us. Today, we are just as excited as our Autumn/Back-to-school issue goes on sale, available in now in Coles and all good newsagents. 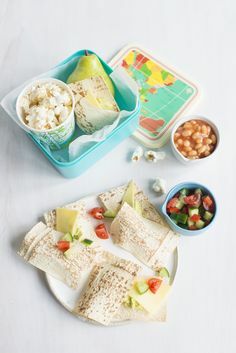 Now the summer holidays are well and truly over and with the kids back at school, pre-school or daycare we’ve packed the mag full of lunchbox inspired recipes and family friendly meal ideas. 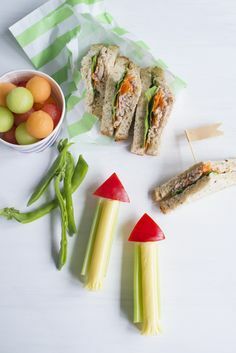 So, if you want to ditch the sugar and preservative laden prepackaged snacks we have loads of fresh snack and sandwich ideas to keep both you and the kids happy – sushi sandwiches, delicious sweet and savoury muffins and slices are a few delicious examples. 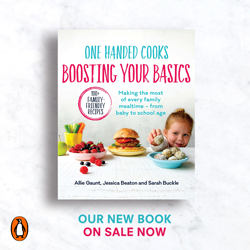 All your favourite features return including Starting Solids, Fussy Eating, The Tasting Plate and One Meal Three Ways, plus some fabulous new food and nutrition features to inspire people to cook beautifully simple, healthy food for their children. We hope you enjoy this issue as much as we enjoyed writing it. Me too. love your second issue but missed the first. You can buy the old issue on ISCUBSCRIBE’s website!! Hi – Is there any way to get this magazine in Singapore? Thanks.